The Courtyard in Paso Robles is located in the heart of wine country, ideally situated off Highway 101. It is centrally located near beaches, and attractions like Hearst Castle, you can take advantage of the best of the central coast region while staying at the Courtyard in Paso Robles. 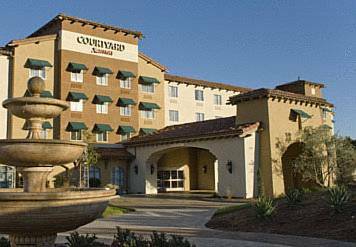 As a guest at the Courtyard Paso Robles, you'll be embraced with superior accommodations and enjoy a spacious guest room that ingeniously blends comfort and function. There's luxurious bedding to lull you to sleep and a desk, ergonomic chair and free Wi-Fi to keep you productive. Our newly renovated lobby features The Bistro Eat. Drink. Connect. Your food and beverage destination for refreshing breakfast, and a variety of dinner, beer and wine options in the evening. The Bistro also offers specialty beverages made with Starbucks coffee to help you get a jump on the day. And just as you'd expect from a fine hotel in Paso Robles, California, there's a heated pool and spa to soothe and relax you.